Not sure if it's an organizational thing or if I just love the simple nature...but I love clothespins. 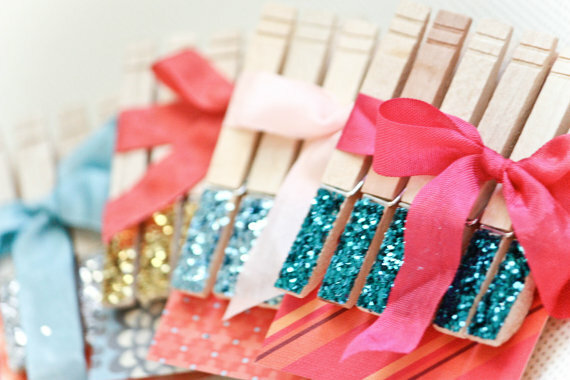 I like them glittered, covered in paper, covered in washi tape and I even love them natural. I wanted to share a few that I've found, and of course, they are handmade and I've fallen in love with them. Sparkle, Sparkle, Sparkle...these are the cutest clothespins...I love the way the glitter only goes up only half way and then the added ribbon makes the packaging amazing! Love! 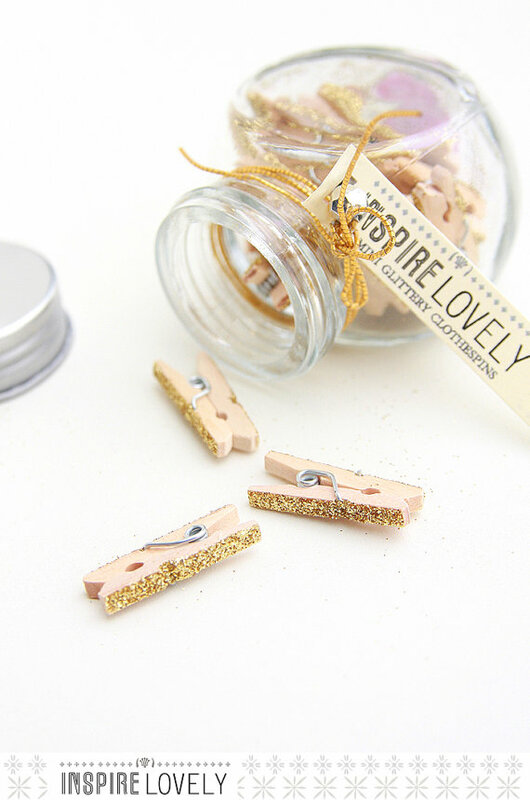 So super cute packaged in wee glass jar filled with 25 lovely glittery silver mini wooden clothespins. 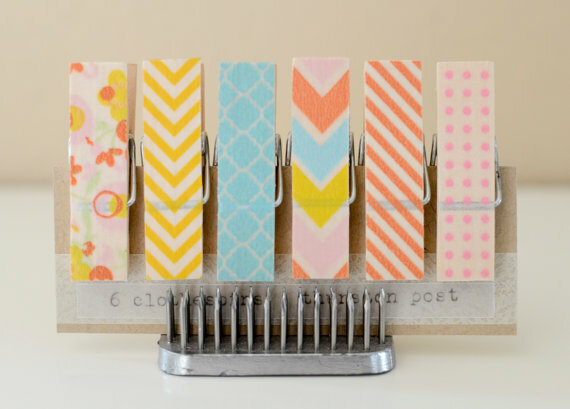 Washi tape covered chunky small clothespins in yellow, pink, aqua, and orange colors. 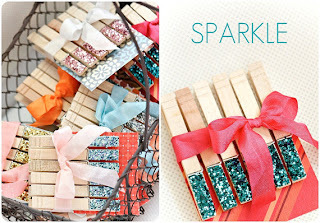 Great for using in paper crafting, gift wrapping, home decor, ect. 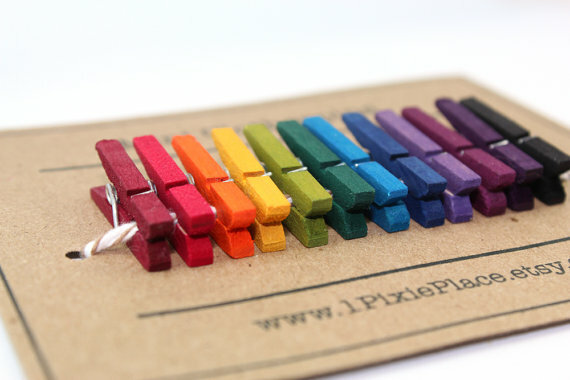 Set of 12 wooden mini clothespins - hand dyed in custom created shades of color. AWESOME! I received permission from each shop featured in this post to list photos and websites. No compensation nor products were exchanged for this post. All opinions are mine. 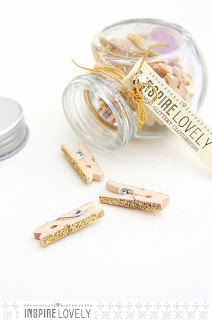 All of the clothespins are so cute! 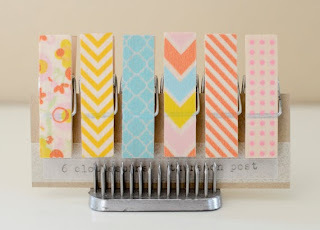 Love your post, Tisa; thank you for including my washi clips.